I was asked to give advice on the new top floor flat and proposed upgrading to the fire precautions within the existing common parts. It was noted that the basement flat had, at the front, its own concrete escape stair in the open air exiting onto the pavement. At the rear it is land locked but the garden wall could be scaled assuming able bodied. This flat did not impact on the escape route for occupants of the upper 3-storeys. I inspected the property in the company of one of the leaseholders to determine if two-door protection (with automatic self-closing devices and fire/smoke seals fitted) would make the means of escape acceptable. A new BS 5839-6 fire detection and alarm system would be installed in the common parts so the earliest warning would be given to occupants on upper floors: I suggested a mixed system described in the LACORS guide, perhaps using RF detectors. I suggested there should be BS 5266 emergency lighting in the common stair at all levels. This could easily be achieved by replacement of normal luminaires with mains-fed trickle charge luminaires. The parapet height to the new top floor of the mansard construction would be 10.8m above pavement level i.e. slightly less than the 11m criterion normally adopted for FB ladder reach. 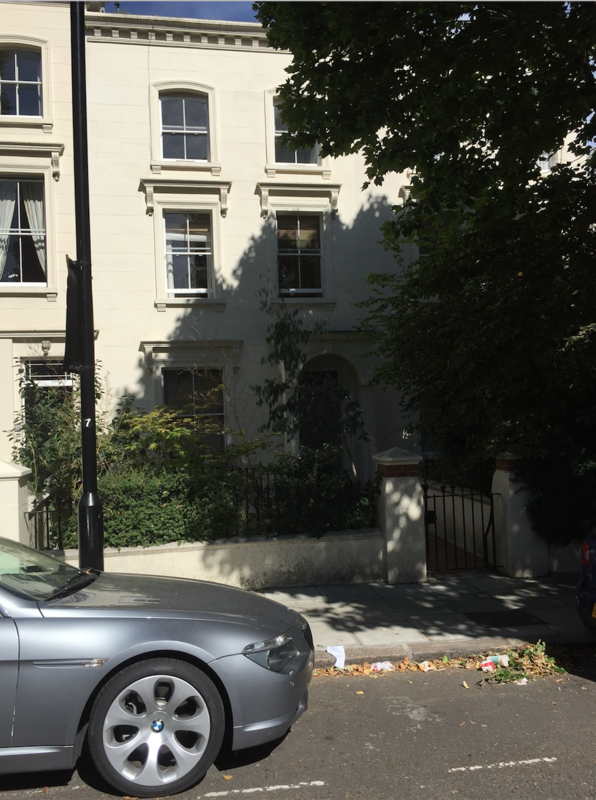 All windows at the front of the property were sash windows which could serve as emergency egress. This combination of fire precautions satisfied the regulatory guidance.